In this latest in WLBC’s series of concerts featuring world class professional musicians, acclaimed musician and widely respected peace activist Alberto Portugheis, longstanding friend of WLBC, is joined by award winning Malaysian pianist Bobby Chen in offering a programme (see below) ranging from Brahms’ Hungarian Dances to the work of contemporary Argentinian composer Susana Anton. Their previous concert at WLBC was very popular, so advance booking is recommended. 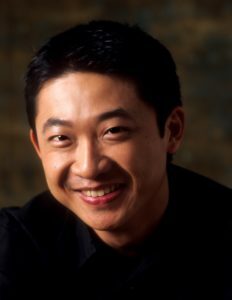 Described by International Piano Magazine as “…an armour-clad player of complete technique, a thinking musician, a natural Romantic”, Malaysian Bobby Chen was a pupil of Ruth Nye and Hamish Milne at the Yehudi Menuhin School and the Royal Academy of Music. He burst onto the scene in 1996 playing a British tour with Lord Yehudi Menuhin and the Warsaw Sinfonia, and a recital at the Royal Festival Hall as part of the South Bank Prokofiev Festival. Since then, he has performed as concerto soloist with several orchestras including the Academy of St Martin-in-the-Fields, Malaysian Philharmonic Orchestra, Singapore Symphony Orchestra and the London Sinfonietta, under the baton of conductors Mathias Bamert, Maximiliano Valdés, Michał Nesterowicz, Sir Neville Marriner, Pierre-André Valade, Lan Shui, Jonathan Bloxham and Giancarlo Guerrero. He has broadcast live for UK’s Classic FM, Ireland’s Raidió Teilifís Éireann (Radio Television Ireland), Hong Kong’s Radio Television Hong Kong (RTHK) and the USA’s Pianoforte Chicago. He was one of the pianists selected for the South East Asian début of the Complete Beethoven Sonatas Cycle in Singapore. He has performed solo recitals and piano concertos at Hong Kong’s City Hall, Italy’s Fazioli Concert Hall, Dublin’s National Concert Hall, Kuala Lumpur’s Dewan Filharmonik Petronas, Singapore’s Victoria Concert Hall, Turku’s Sibelius Museum, and at the UK’s Bridgewater Hall, Royal Concert Hall, Cadogan Hall, Purcell Room, Reid Concert Hall, Royal Overseas League and Menuhin Hall, including four solo recitals at the Wigmore Hall. He has performed chamber music at Beijing’s Forbidden City Concert Hall, Vigo’s Auditorio Sala de Concertos Martín Códax, London’s Royal Academy of the Arts, São Paulo’s Musica Nova Contemporary Music Festival, Sweden’s Lidköping Music Festival, Ireland’s Music for Wexford and Wicklow Arts Festival, and at the UK’s Worcester Three Choirs Festival, Guildford International Music Festival and Bristol International Piano Duo Festival. 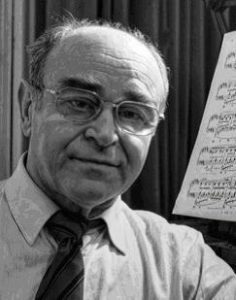 Pianist and pedagogue Alberto Portugheis was born in La Plata, Argentina, to parents of Russian and Rumanian descent. His international career began after winning First Prize at the Geneva Concours de Virtuosité. He performs in recitals, chamber music concerts and as soloist with major orchestras, including the Royal Philharmonic, London Symphony Orchestra, London Mozart Players, Philharmonia, English Chamber Orchestra, Lausanne Chamber Orchestra, Paris and Israel Sinfoniettas, Orchestre de la Suisse Romande, Sinfonica Nacional of Argentina, and Filarmonica of Buenos Aires. His annual Steinway masterclasses are now legendary. Alberto’s repertoire includes music from the baroque to contemporary, with several composers writing specially for him. His acclaimed recordings include: 4 Chopin Ballades, Alfred Nieman 2nd Sonata, Ginastera complete piano music and chamber music with piano, Khachaturian Piano Concerto with the London Symphony Orchestra, Khachaturian solo works, Rachmaninov and Shostakovitch cello and piano sonatas with the cellist Gwyneth George, and a CD dedicated to the piano music of Rossini. He has recently released a CD of music by Bach and Dinu Lipatti, partnered by Italian pianist Stefano Greco and the Youth Orchestra of León, Spain, conducted by Georgina Sánchez. though the organization over which he presides, HUFUD (Humanity United for Universal Demilitarisation). Nominated for the Nobel Peace Prize in 2008 for his peace work and proposals, Portugheis published The Game of War and A Path to Peace the following year. His second book $$$$$$s In Their Hearts was released in 2014.